Words echoed at Wine Retail Shops and Restaurants across the globe by consumers are ” I LIKE MERLOT BUT MY HUSBAND LIKES CABERNET”, “I’M LOOKING FOR A FULL BODIED CAB OR MAYBE A CABERNET/MERLOT BLEND. I LOVE THE BLENDS”! Server: “Do you like Italian Wines Or Spanish Wines”? Consumer : “OH I LOVE THEM ALL. I LOVE MERLOT AND I LOVE CABERNET. TONIGHT I AM IN THE MOOD FOR A MERLOT.” Server. ” How about A Sangiovese from Toscana or a Tempranillo from Rioja or A Tannat From Southern France”? Consumer ” ARE THOSE NEW BRANDS?? WHICH ONE OF THOSE BRANDS MAKES THE BEST MERLOT OR CABERNET” Server: I think I need to change Careers!!! I see reviews constantly in magazines like Wine Spectator describing a wine as, lush, cherry pie, boysenberry, with a slight earthiness, finishing with a hint of Cocoa Powder and a long, lingering finish that sails on the palate!. So if you didn’t know what wine they were reviewing let me play devil’s advocate here. Are they describing a Cabernet or Merlot or Perhaps a Pinot Noir? What if I told you, those descriptors could easily fit a review of over 1,951 wines that are not a Pinot Noir, a Merlot or A Cabernet Sauvignon??? Would you buy the wine if you tried it first and liked the taste? I would. When it comes down to it, we as reviewers or Sommeliers make a recommendation by the taste profiles you desire or what we taste and in reality, it really makes no difference if it is one of the 3 red grapes you are familiar with, as long as you like the way the wine tastes!!. How about this? Would it shock you to know that in America only 75% of the Grape Name listed on the outside of the label has to be in the bottle of wine to call it for example a MERLOT?? 25% Of as many grape varietals you want to blend into that 75% Merlot can be in the bottle of wine without disclosing them on the label but the wine will be legally allowed to be called MERLOT!! The Same rules apply for Chardonnay, Cabernet, Pinot Grigio (In America), Riesling etc. So for the people who say they love the NEW BLENDS….Pretty Much they are ALL BLENDS if you read the above labeling laws. I am only providing some tough love for my READERS, so they will focus more on what tastes they like and NOT MISS OUT on so many great wines and varietals of grapes that make wine all around the world because they are stuck in Cabernet And Merlot WORLD. Let’s give Some Examples. 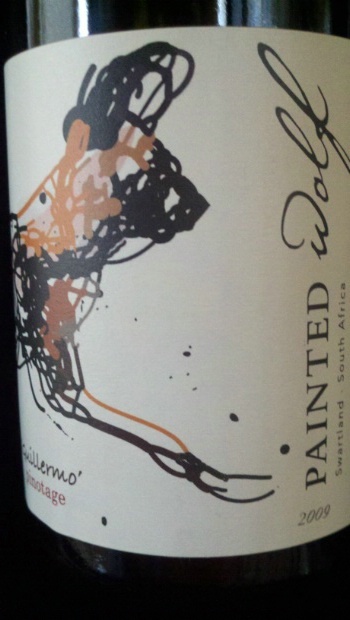 Pinotage from South Africa is a Hybrid Grape that was a crossbreed of Pinot Noir and Cinsault The 2011 Painted Wolf The Den at under $15 is just delicious for any red wine lover and so affordable. Silky and lush on the palate with fresh berries mingling with some coffee and cocoa notes finishing with a hint of Toasty Oak, Caramel and a bright raspberry finish. I have sampled this wine to hundreds of people. They come back for more in droves however, they still ask for the PINOT NOIR or THE MERLOT from SOUTH AFRICA. Could what I describe satisfy both a Merlot or Cabernet drinker? It sure could. If only they wouldn’t bypass the PINOTAGE SOUTH AFRICAN SECTION when looking at a wine list in a restaurant or on the shelves at a retail shop. Sussumaniello was facing extinction in Manduria located on the heel of the boot of Italy facing the Adriatic and Ionian Seas. In 1998 Winemaker Gregory Perrucci rediscovered the grape and very few places sell it in the USA. The 2009 is one of my favorite vintages. Bright Cherry on the mid palate, a little hint of licorice and a caramel soft finish with very ripe tannins. Is it A Merlot or Cabernet. 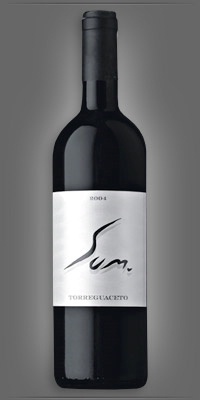 Many of my guests call it SUM MERLOT from ITALY?? I tell them it is not a Merlot it is a Sussumaniello. They say, they never heard of that. I say “GOOD, As long as you like the taste of it. Isn’t that what matters?? If I counted on my hand how many former Pinot Noir Loyal People have purchased cases of the wine above and love it but still refer to it as a Pinot Noir, I would run out of fingers and toes!. It’s niether. 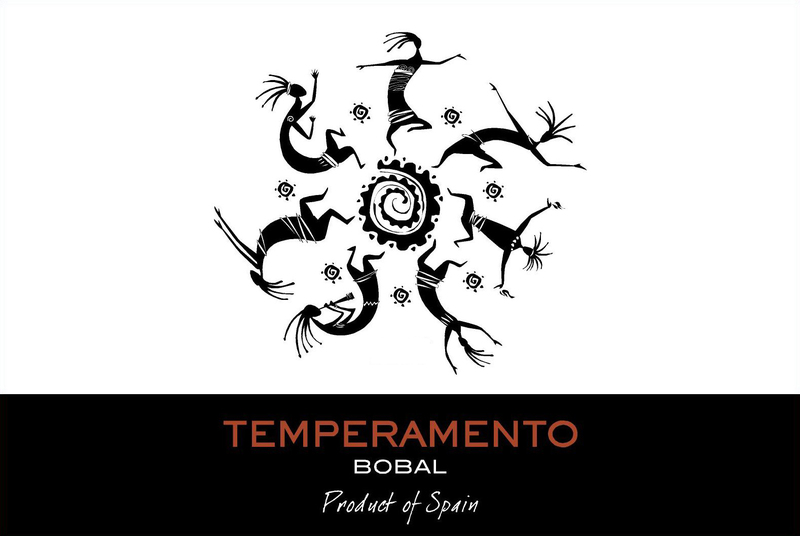 It is a unique soft, smooth, fruit forward, silky grape coming from Valencia in the area called Uteil Requena named BOBAL. Not Merlot. Not Cabernet but BOBAL!!. $12.99 and people who are shelling out $25 and up for a drinkable Pinot Noir from anywhere since the movie Sideways in 2004 could close their eyes and judge this wine by TASTE Alone and they would believe it was a Pinot Noir but yet it is BOBAL and it saves them enough to buy 2 bottles for what they were paying for one. So get out there and experiment and try Bobal, Sussumaniello, Pinotage annddddddd: Aglianico, Tannat, Colorino, Nero D’Avola, Grenache, Barbera, Nebbiolo, Xynomavro, Canaiolo, Temperanillo, Alicante, Mourvedre. IS IT A MERLOT OR CABERNET??? As Long As You Like The Taste WHO CARES????? We need the wine press to stress this point and maybe restaurant buyers will put more on their wine lists… It always galls me when the only selections are 20 Cabs, Chardonnays, and Merlots and barely anything else. PreviousSHARING Wine With Friends Makes it Taste So Much Better! NextChoice: Pay Your Rent, Stop Eating, Or Buy California Wines???? ?